Christmas...the time of year spent with loved ones, presents under the tree, fabulous family dinners and wonderful memories with family and friends! One very important part of every Christmas for my family is that of giving back. Amongst many my sister and I love to support the Angel Tree Charity. 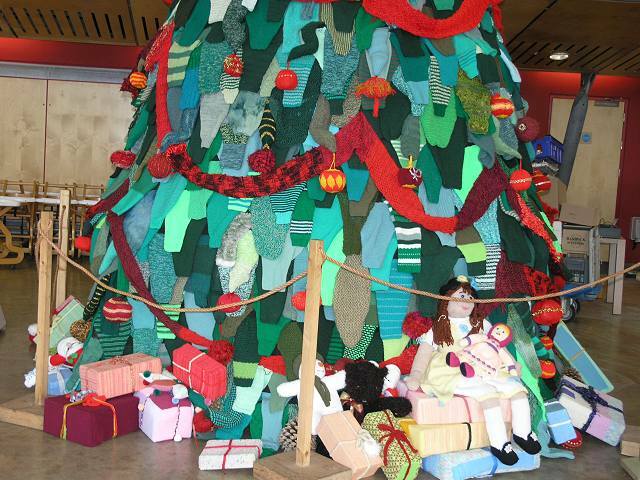 Speaking of tree, take a look at this knitted masterpiece! Now this is one amazing way to give back! 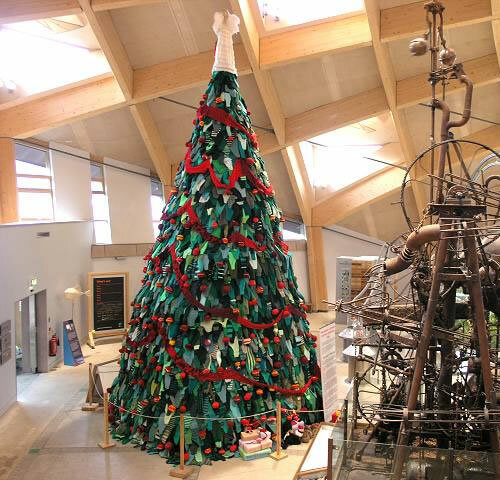 In 2007 this beautiful knitted Christmas tree was created by The Eden Project. Topped of with a 54 inch tall knitted Angel, this 30ft creation is completely knitted from top to bottom! It took a thousand knitters of all ages to pull this magnificent creation off and is made out of thousands of knitted sleeves, that's right sweater sleeves! The Eden Project is a charitable foundation who runs social and educational programs to help change the way people think about the world around them! Isn't it stunning! Just look what can happen when people come together and as an added bonus lots of funds were raised for the charity by those who just came to admire it! In fact the tree raised thousands of dollars in support for Hospice.